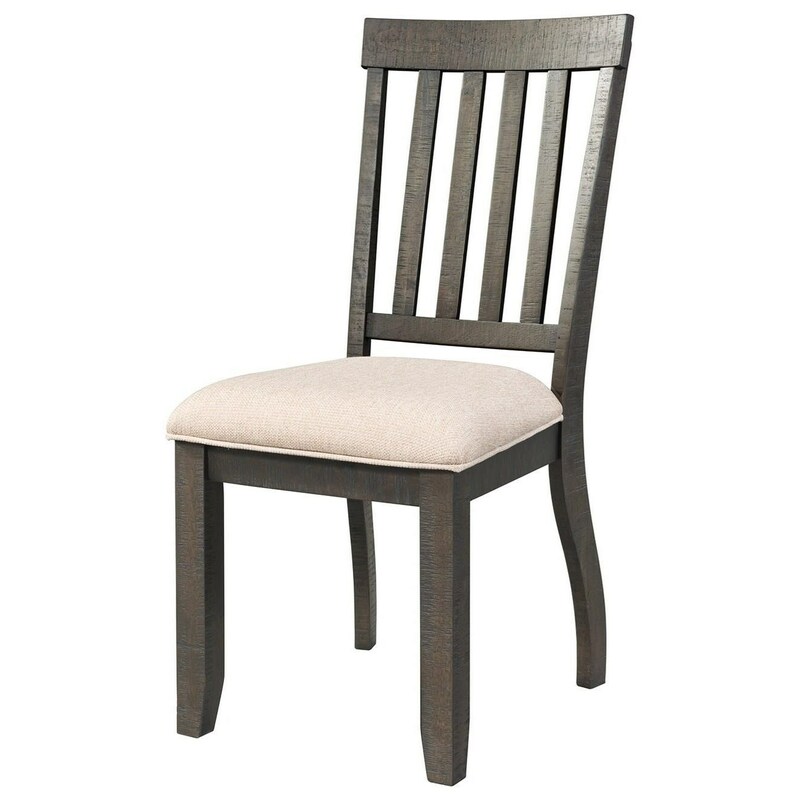 This dining side chair has a timeless design with a slat backrest and a linen-colored upholstered seat. Pair with the matching arm chair and dining room table from this collection for a classic dining room set. The Stone Slat Back Side Chair by Elements International at Sam Levitz Furniture in the Tucson, Oro Valley, Marana, Vail, and Green Valley, AZ area. Product availability may vary. Contact us for the most current availability on this product.